Fashion was first propelled onto the Internet (c. 1994) by what María Contreras refers to in Vogue España as that old refrain "adapt or die." A decade into Web history, it has become clear the Internet is used for gathering information, communication, and entertainment. Rather than becoming a world, the Web has become an essential tool for living. Theoretically, if not culturally, fashion is well suited to the new media. As the photographer and showStudio.com founder Nick Knight observes, "speed of change" is the essential nature of fashion and new media. Both promote image in an era where perception (branding) is as important, if not more so, than the fashion object. The Web does not threaten print media. Even the founders of the online zine, Itfashion.com, assert that "the existence of paper magazines is necessary." Vanity sites have, however, become an essential part of public relations and brand-building strategy. The primary purpose of a vanity site is to communicate the brand. Unlike a television or commercial, a Web site offers "bidirectional communications" (Deborah Kania) and invites dialogue between the brand and the consumer. Almost all sites have a "Contact Us" or e-mail function built into their architecture. Some sites integrate the feedback function into their content/identity. Thus on emiliopucci.com users are encouraged to "sign in" on the guest book section where they are asked: "Do you have a Pucci story of your own?" and encouraged to share it, which maximizes the emotional bond that is unique to the brand. On johngalliano.com, users can "Whisper sweet words to John Galliano or confide in Miss Galliano" via the "Love Letters" section. The vanity site provides the brand a means to create a multisensory experience that creates a bond between the brand and user resulting in "stickiness"-the desire to come back-and encourage consumer loyalty and possibly profitability. Fashion is a hard sell on the Web, but not an impossible one. What we have learned so far is that e-commerce is more easily adaptable to certain sectors than others. Shopping at the Gap or Banana Republic online, for example, is essentially the same as ordering from the catalog, and these chain stores have the back-end operations already in place to support large-scale e-commerce ventures. Vintage clothing also sells well on the Web, because it provides unique accessibility to one-of-a-kind items (think ebay). 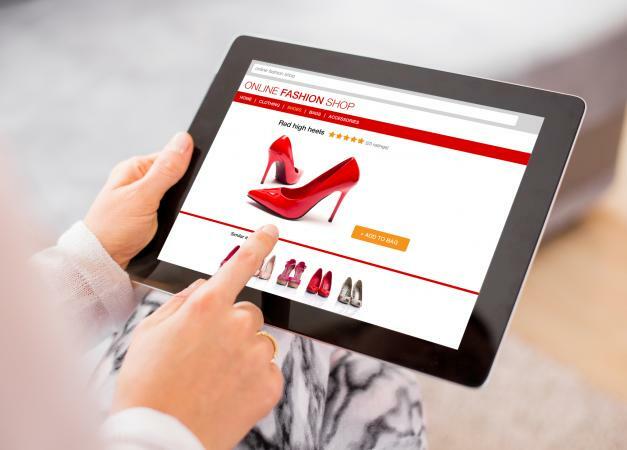 Gradually, shopping on the Web is becoming a desirable form of entertainment, not to mention convenience. (Colette.fr reports that one of their first orders came from a client who "lived but five minutes from the store.") Web demographics-above-average income and education-suggest that this is an area that will continue to be developed. The most exciting, and potentially, revolutionary impact of the Web on fashion is its inherent democratic nature. Whereas high fashion is built upon exclusivity, the Web offers full-access, twenty-four hours a day, seven days a week: both grandma and Gucci have equal access to the virtual world. In the 1960s the legendary Vogue editor Diana Vreeland celebrated "youthquake," ostensibly the end of fashion dictatorship. The ingress of the Web beyond the velvet ropes into the theater of fashion-usually the bailiwick of international press and celebrities-is significant. It suggests that the Web might be the tool that incites a twenty-first-century shake-up. In a virtual world, a camel can, in fact, pass through the eye of a needle. See also Fashion Advertising; Fashion Editors; Fashion Journalism; Fashion Magazines; Fashion Models; Vogue. Borrelli, Laird. Net Mode: Web Fashion Now. London: Thames and Hudson, Inc., 2002. Kania, Deborah. Branding.com: On-line Branding for Marketing Success. Lincolnwood, Ill.: NTC Contemporary Publishing Company, 2000.